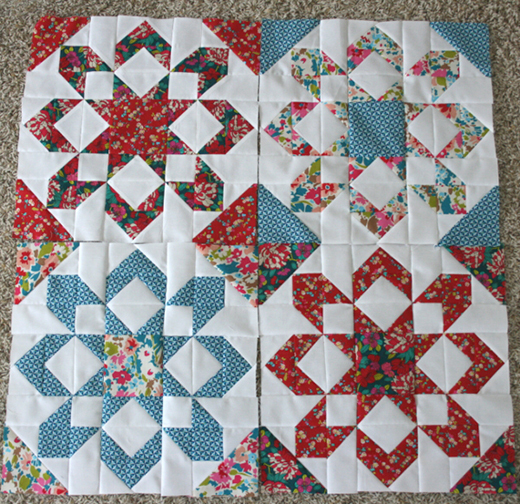 The Fireworks quilt block is the perfect choice if you want to make a larger block rather than several smaller blocks. The quilt block itself does not contain over-sized pieces, as some larger blocks do. There are just more pieces in the block. But, the bonus is that you need to make fewer blocks for your quilt. This Fireworks Quilt Block Pattern by Patchworksquare.